The deputy chairman of GERB resigned his seat in Parliament following revelations that he acquired a luxurious apartment in Sofia for a fourth of the market price from a company in need of a strong political back in key places. The uncover sparked public outrage and has been the prime focus of the media’s attention for almost two full weeks, and it doesn’t seem to be going anywhere anytime soon. And with good reason. The story lays facts, which spell out influence peddling in a way it is proving almost impossible to spin even for the PR gurus of GERB. High(est) ranking politicians from the ruling party were able to purchase exclusive luxurious properties from one of the largest development companies in the country (especially in Sofia) at laughable prices. 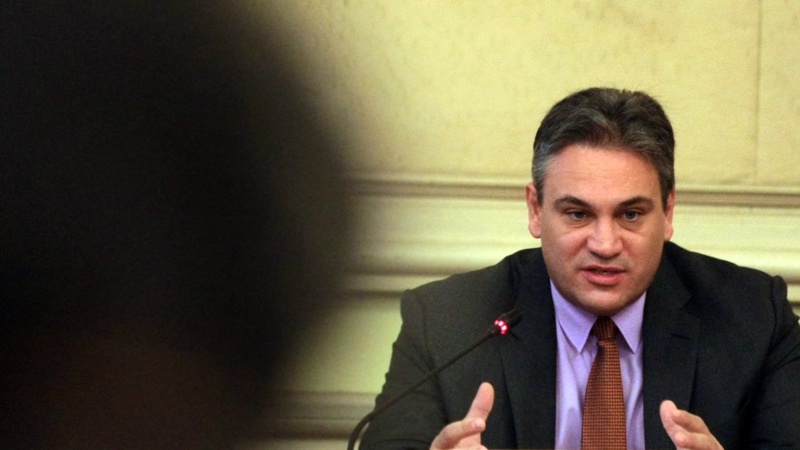 Among them a justice minister, two deputy ministers and the second most important figure in GERB, Tsvetan Tsvetanov. They paid a fourth of the apartment’s market value, and that is by a very conservative estimate. Just around this time GERB initiated and passed key legislative changes, which fit the company’s particular needs perfectly. The only issue, which couldn’t be solved legislatively, was quickly taken care of via an order from the executive branch. Tsvetanov’s case was the first and most prominent, contended only by the later revelation that none other than the head of the Anticorruption Commission, the body whose sole purpose is to investigate corruption and conflict of interest in public office, Plamen Georgiev’s high-end apartment was also purchased at prices, well below the market value. He also failed to declare the property correctly, saving himself about a quarter million leva in taxes. Admittedly selling at low prices in of itself is not a crime. But being in a position of power and working on behalf of someone who gave you something at an exclusive price, is. The deal with Tsvetanov’s apartment, as the other three are well documented in public official records and sandwiched between two curious events. The apartment in question is in an apartment building of the infamous construction company Artex, which has built a number of high-end apartment buildings in the city. Their most ambitious project to date is a 34-story building in the heart of one of Sofia’s most expensive neighborhoods, Lozenets. The building was and is very controversial, mostly due to its atypical height compared to its surroundings. The company received a permit for the building but the rough construction work had to be finished by the end of 2017. Needless to say, it wasn’t. Construction hadn’t even begun, when the company filed for renewal in December of 2016. This document is the only way the company could carry on with the project and reserve the right to build. But curiously, the company later withdrew its application for the permit. Meanwhile in January 2017, back in Parliament, GERB introduced an amendment to the Territory Planning Act, which extends the validity period of these types of permits from five years to ten. The amendments passed and were enacted into law the following month. This change seemed to solve the problem with the expiring permit, which, by the way, costs 260‘000 leva. Artex themselves cite the amendment when arguing their permit expires in 2020. 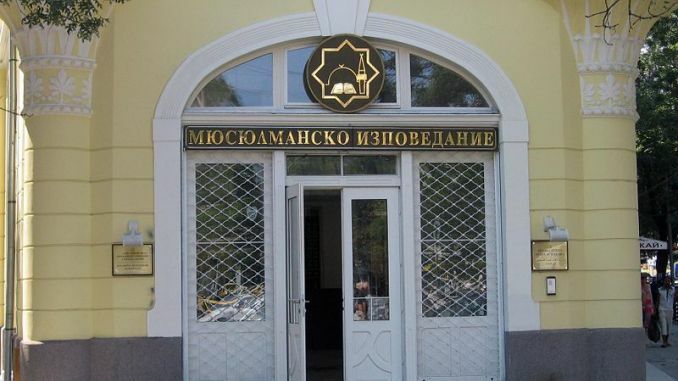 But many disagree, and since the scandal broke, so does Sofia Municipality. There is a significant issue with this assertion: laws in Bulgaria do not have retroactive scope. This means that whatever amendment Parliament might have passed, this particular development project should fall under the terms and regulations from when the documents in question were issued. This would include the permit as well. Today, at least two institutions are debating over whether or not the company lost the right to build during this time. Essentially the totality of the assertions by the different relevant state and municipal institutions on the matter is that the building is simultaneously legal and illegal. 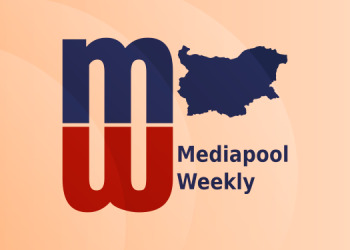 Sofia Municipality is suddenly very crisp its stance that the project’s documents are invalid, although citizens of Lozenets have been alerting the same for years, and even filed the case in court, whose ruling is still pending. The institution, whose job is to oversee construction projects like this one, on the other hand, claims the company’s permit was renewed automatically whenever the municipal administration issued a document regarding it. And since the chief architect of Sofia issued documents concerning the project, this very act, automatically extended the permit. There isn’t a law to support this, in fact, the law clearly states a permit must be extended via the normal administrative procedure, but the head of the oversight body cites a ruling on a similar issue from a court case in Burgas. A weak argument, to say the least, but it keeps the two institutions tossing the question back and forth between each other when asked by reporters to explain the inconsistency. Then there is the third key element to this: the deputy minister for regional development, Valentin Yovev, issued an official letter in August 2018 to clear future doubts: in the letter, he clearly states that with regards to this particular construction project, the new law should be taken into account. In other words, the permit should be treated as if it were issued under the provision of the amendments, which were enacted in 2017. Tsvetanov’s apartment, and the three other high-ranking GERB officials’, were purchased in the Summer of 2018. In the case of Tsvetanov, the difference between the price he paid and the estimated market value is about 1’300’000 leva. It became rather apparent that Tsvetanov would have to follow his collogues and resign. Tsetska Tsacheva, the now-former minister of justice, was one of them At the time the scandal broke, he was on a visit to the U.S. He arrived on Wednesday and went straight to meet with PM Boyko Borissov, signaling reporters that he will announce his decision afterward. He resigned his seat in Parliament and as leader of the parliamentary group of GERB. But the will keep his other two key posts in the party: as deputy chair and head of the elections committee of the party. During the press conference, he refused to answer questions about the apartment. His reaktios to such questions bordered a breaking point. He was obviously reluctant to discuss the issue, to say the least, and only repeated: “it’s all legal, it’s all legal”. When confronted that the legality of the deal per se is not the issue, he would jump at a random straw, changing the subject and answering reporters with a provocative question. This was maybe the only time the public got a glimpse that the story had struck a real nerve among the first men at GERB. Because apart from that, it is business as usual: four resignations but not a grain of fault admitted by anyone. 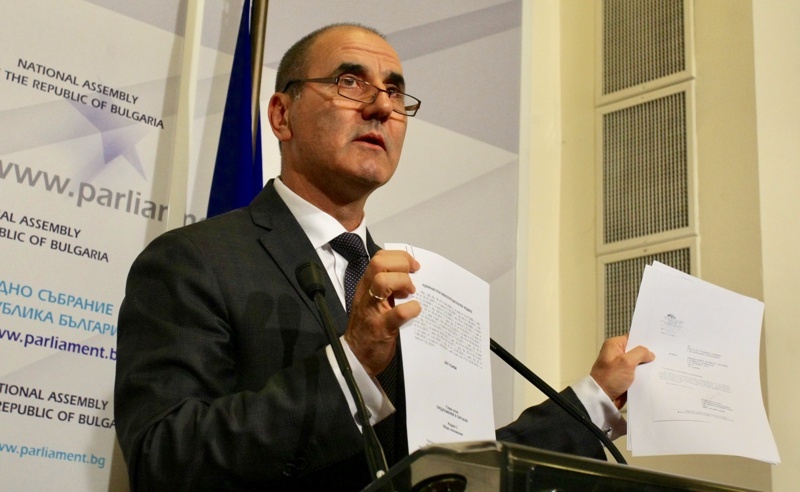 The second most powerful person in GERB – or rather half of the very power nexus of GERB – resigned from Parliament amid this scandal but remains at the helm within the party. And especially, will be the one managing the task, which without a doubt is top priority: not only to keep winning elections going forward but to keep doing it is a way that secures GERB e comfortable amount of power. Two questions and an answer are tangled here. One, why would one resign if they firmly believe they have done nothing wrong? Still, the one resigning, even if not at fault, obviously understands the association with this scandal is damaging enough. This is (at least) discussed and approved by the PM. Then why is Tsvetanov a/ painted as a victim and b/ not even for a moment gone to stand in the sidelines in the party? The answer, of course, goes to his importance in the party, and especially to Borissov. The two are in symbiosis ever since the beginning. They are one, and if a part of it breaks the whole party might collapse. And with it, the whole fortress of GERB’s deep state. But even more importantly, all their dealings and network of dependencies, connected companies, illegal lobbying, and personal gains would likely become all that much susceptible to collapse and becoming visible. Tsvetanov and Borissov must remain as one, otherwise, they’d immediately fall under the prisoner’s dilemma. And that goes for everyone below them, be it to a lesser extent. But this just might be the key weakness. The whole ring of power around GERB, including institutions such as the Anticorruption Commission, which to date has proven time and time again that its only function is to target whomever those in power deem inconvenient, have become too brazen to realize they are not yet entirely untouchable, and certainly not forever. This over-decade long power abundance has stripped the members of this exclusive ruling class of any caution in their power- and wealth-hungry pursuits. And, yes, we are now in a situation where the person, who should investigate Tsvetanov is also the one, who should investigate himself for the same reasons. But this model is not sustainable: the only way this vast network of shady dealings remains manageable and under Borissov’s and Tsvetanov’s control is for GERB to remain in full power indefinitely. Borissov hardly seems too excited to be PM, and this is no news. But the stakes are too high: these recent revelations might prove to be the tip of the iceberg and Borissov and Tsvetanov, plainly, cannot afford to lose even a single molecule of authority. Over the past years, and more and more with every week, Borissov clearly demonstrates that he would do anything to stay in power. He has stopped giving any justification beyond having to preserve ‘government stability’. But there actually may be a very good reason why. Perhaps guarding the levers of power is the only way he can be safe from their very purview. When this fortress cracks even a little – and sooner or later, it innevitably will – trying times might very well be ahead. After it was revealed that the head of the Anticorruption Commission, Plamen Georgiev acquired his grand luxurious apartment for less than the property’s assessed value, and that there are large-scale inconsistencies in his tax returns, the non-parliamentary coalition Democratic Bulgaria issued an official statement demanding his resignation. The sites Frognews and Bivol made the initial findings. Along with finding the price pf the property is laughable, they also uncovered inconstancies in his tax returns, which have saved him nearly a quarter million leva. Georgiev heads the body, whose purpose and jurisdiction is to investigate precisely such cases. In fact, Georgiev himself said before this that the commission will look “deep” into the apartment deals, in which high-ranking GERB officials acquired luxurious apartments for a fourth of their market worth. After it was revealed he himself is in a similar position, at first, he refused to comment. A few days later he announced that the inconsistency in his tax return is due to a mistake in his property deed. Which he has since corrected, at that. As for resigning his post and the question of should the person heading the body, investigating illegally obtained assets, corruption, and conflict of interest, they seem to be off the table for him and the ruling coalition as well. He goes on to discredit further the people responsible for the revelations but fails to address the substance of the facts. 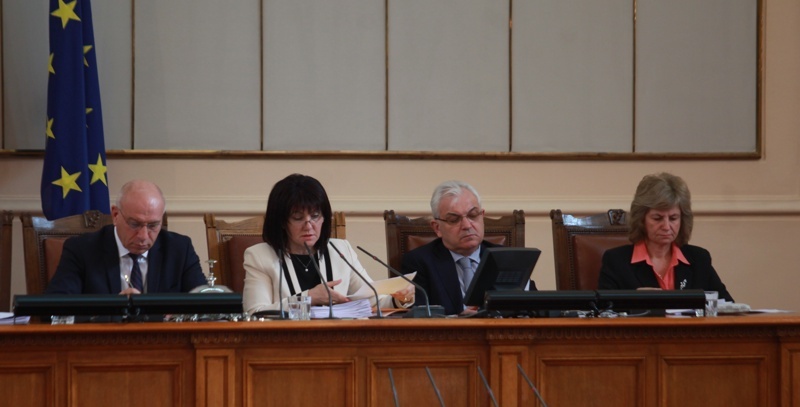 The parties in Parliament all are very reluctant to comment anything on Georgiev’s property controversy. MPs from the ruling parties evaded questions about his tax returns, saying that the relevant institutions are the ones to assert the situation. A number of MPs refused to take any stance on the matter when asked. A similar notion, be it not as firm, but essentially the same, came from the largest parliamentary opposition, the Bulgarian Socialist Party. They also think proper investigation should be conducted. Only after, if the competent institutions conclude wrongdoing, should Georgiev resign. BSP’s MPs have been boycotting Parliament for two months. Over the course of about just over a month GERB managed to pass amendments to the Elections Act, which in effect made the provision for a preferential vote useless. It upped the threshold of votes a candidate would need to get in order to move forward in the ballot to a percent, which is practically impossible to reach. Doing away with the preference vote is a longstanding goal of the Movement for Rights and Freedoms (DPS). Introducing and passing the bill was the consecutive confirmation, in a long sequence of similar ones, that GERB and DPS are work closely together and form an unofficial coalition in Parliament. This was – and still is – the only explanation the amendment was introduced in the first place, especially given it was voted in a rush afterhours, with no real debate on the implications on the preference vote. The amendments produced an enormous public backlash, which put GERB in an awkward position. At the end, GERB voted for the amendment for the second reading, which is the final vote. But GERB vowed to introduce a new amendment, immediately following enacting the last one. This second amendment will restore the regulations regarding the preference vote to their original state. GERB indeed introduced these amendments, which passed their first reading last week and their second – Wednesday. Tsvetan Tsvetanov, which played the key role in putting forward and voting the first set of amendments, and who at the time was still a member of Parliament, was absent during the vote. Turkish Foreign Minister Mevlut Cavusoglu said his country meddled in Bulgarian politics to push forward amendments to the Religions Act. The amendments he is referring to initially would have pardoned 8 million leva in outstanding taxes and social security of the Grand Mufti. The proposal passed with the votes of GERB and the Movement for Rights and Freedoms (DPS) but was met with great public disproval. As a result, GERB, who introduced the bill, reformed a bit to allow for the Grand Mufti to negotiate ten-year term payment for the debts, which became the final text of the amendment. “Bulgaria’s draft for amendments to the Religious Act stood against all kinds of fundamental freedoms and violated basic rights. Turkey had to intervene and Bulgaria was forced to make changes”, he said. Bulgarian Foreign Minister Ekaterina Zaharieva called the Turkish ambassador over to explain his colleague’s claims. In turn the Turkish foreign minister insisted on speaking with her, and reportedly said that the first draft targeted the Muslim community, which she declined. The remarks by Cavusoglu sparked outrage across the political spectrum, from the far-right parties in the coalition partner, the United Patriots to the largest parliamentary opposition, the Bulgarian Socialist Party.